We are Abi's Army of Angels. Following is Abi's story, written by her mom, Joy. Abigail Shannon Colbert was born on February 4, 2010. A beautiful little bundle of joy and light. I was so excited that my dream of having a little girl had come true. Abigail and her brothers Kyler and Jaxen were the light of our lives. We lived everyday to the fullest and were always together. 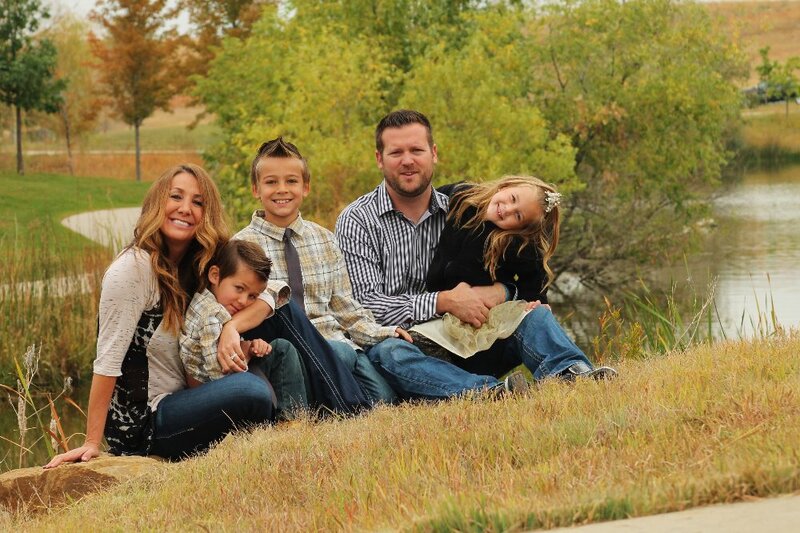 I worked from home so I was able to raise my kids and be with them everyday which has been such a blessing to us all. On May 8th, 2015 Abigail our middle child had a tummy ache, it persisted and we ended up at Children’s North Campus Urgent Care. Abigail progressively got worse and we were transported to Children’s Main Campus on the morning of May 9th, 2015. Abigail’s health continued to deteriorate. Her capillaries were leaking and her body filled up with fluid. She had 3 drains in her body draining fluid. Her blood pressure dropped to 60/40 mmhg and we thought we were going to lose her. The medical team worked hard and they were able to push a double cannula of Albumin in her, which bumped her stats back up. The days to follow felt like years, but our baby girl woke up and recovered back to normal. We were discharged on June 3rd, 2015 with follow up appointments. At our follow up appointments my husband and I told ourselves that the doctors were never going to find an answer to what caused Abigail to get so sick. We were frustrated, but happy that she was okay and no one was worried about her. We spent a wonderful summer together so happy that Abigail was okay and that we had each other. Then it happened again. We took Abigail to Children’s North Campus on October 6th, 2015 and it was like deja vu. We were transferred to Children’s main campus and once again watched her health rapidly deteriorate on the Pediatric floor. Abigail became septic on October 7th and was transferred to PICU on October 8th. 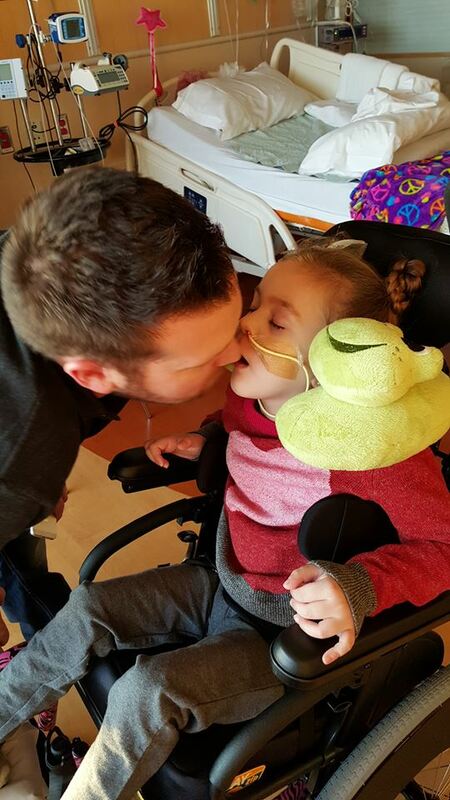 In the PICU her decline severely intensified in an hours time and the head of surgery informed us an emergency surgery would be required for an obstruction in her bowel or Abigail was going to die. Kyle and I were very concerned about this surgery as during our May hospitalization when Abi went under anesthesia for surgery she almost lost her life. She has never tolerated anesthesia well. We agreed to proceed, as we were not given another option. It seemed like Abigail should be about done with her surgery, when we saw one of our favorite doctors with a very terrified look on her face franticly coming towards us and tell us we needed to come with her right away. Our hearts sank. The worst nightmare a parent could ever experience was happening to us. We were brought into a room and told that during surgery Abigail went into cardiac arrest. CPR was being performed and they were trying to get her on life support but it didn’t look good. It had been 15 minutes since her heart had stopped. My husband asked if we could see her and the doctor agreed to take us to her. We gowned up and walked into the operating room. The room was full of medical teams trying to revive our Abigail. All I noticed was her face on a monitor above the operating table. I just stared at her face. I couldn’t lose my baby girl… what would our life be without this special part of our life. I think I stopped breathing, and both Kyle and I looked like we were going to pass out and were taken out of the room. Kyle remembered seeing scissors all over the floor and also that when we walked in everyone stopped and looked at us. I was told later by a nurse in the room that they all looked at us because they were in disbelief of our strength. After this we were taken to a room to grieve and discuss the loss of our daughter. I just dropped to the floor. I couldn’t breathe. We were told that it had been too long and if Abi were to make it she would have no brain function. I couldn’t believe all this was real. It just couldn’t be. A few minutes later a doctor came in the room and told us they were able to get Abigail on ECMO (life support). I was so thankful we had another minute with her and was in complete disbelief of the entire day. We saw this coming and told everyone, how could this happen again? What if we would have said no to the surgery, would this have changed things? In the surgery they found a volvus, but no ischemia which is life threatening. This was our fault. We didn’t do the right things. When they finally brought Abigail back to the PICU she had a big machine with her. The ECMO had two big cannulas in our baby’s neck. One cannula connected to her right internal jugular vein to cycle the blood out. The ECMO machine would then remove the carbon dioxide and add oxygen, just like the heart normally does. The blood would then be cycled back into her through the second cannula, which was connected to her right carotid artery. When she entered the room I just wanted to hug her and hold her, but we really had to be careful because if you moved her wrong those cannulas could be displaced and she would die. I held her hand and she squeezed back. At that moment, in my heart, I believed she was still there. The next morning we awoke to her looking like a wax figure. Her chest did not move at all, her mouth had blood bubbles coming out of it. It looked like a scene from a bad horror film I had seen when I was younger, but this was real…it was my daughter. The days were long and she coded many times in that first week. Every time I would hear the scary sirens they were coming from her room, and all I could do was pray to God to keep her with us. Her stomach area had a gaping wound due to the fact they were never able to sew her up after surgery. When they originally tried to close her stomach incision is when she went into cardiac arrest. You see her heart was not sick. She was dehydrated going into surgery and never handled anesthesia well. The drugs given to her along with the anesthetic gas and dehydration caused a fatal combination. When they went to sew her up the pressure forced what little blood she had left in her arteries out and her heart had nothing left to pump. A wound VAC was used to slowly close the large open incision. Her kidneys failed her. So she was put on dialysis along with ECMO. We were living for each minute, our knees on the ground praying and just believing we were going to get through this and Abigail would be okay. During the first week they closed her fascia, which is the muscle area in the abdomen. They had nicked her airway when they intubated her and when the ENT came to fix it they nicked the inside of her nose. When they were working on her the ECMO nurse said to them “You need to stop what you are doing right now.” They hit the code button and everyone came running as they had lost flow to ECMO. If you lose ECMO flow she dies because the ECMO machine is doing all the work for the heart and lungs. A human being can only be placed on ECMO once. You have two carotid arteries and you need at least one to survive. The ECMO cannula destroys the carotid artery it is placed in. A study also shows only 50% of people who go on VA ECMO survive it. The machine was massive and very nerve racking knowing our daughters life depended on it. On day 3 when I woke up I noticed the left side of her chest was moving. It was the best day ever. She was coming back. We did plasma pheresis, which replaced 93% of the plasma in her blood. No doctor knew what was making her so sick, but by doing this it couldn’t hurt. There are some rare disorders where a person’s plasma can contain antibodies that attack the immune system; plasma pheresis removes the effected plasma and replaces it with good plasma. We were grateful they approved Abigail for this procedure. The days to come were very up and down, but we never lost hope. On day 6 they decided we needed to take Abigail off of ECMO due to the blood loss and the amount of blood we were having to give her as well as plasma. We were scared that this could be it for her, if it didn’t work she would die and it was risky, but if you kept her on she would die. Kyle and I stood in the vacant room attached to Abi’s room and watched through a window as they removed the cannulas out of her neck and replaced them with a single cannula for her dialysis. I paced back and forth praying and praying and praying. She made it! Seeing her alive off of ECMO was a feeling I’ll never be able to explain. Talk about thankful. We were so excited and slept better that night. Our baby was off of a machine keeping her alive and she was doing it on her own, her heart, and her lungs!!! Amazing. There were still many hurdles; this was the first of many. We stayed a total of 63 days in the PICU. Her dialysis quit on us a few different times and each time we had to restart it was scary. She had coded doing this before because dialysis is a push pull system where if the pressure isn’t just right your blood circulation will stop. The first time it quit we did an MRI on her brain and learned that she had a severe brain injury from the lack of oxygen during the 30+ minutes of CPR she received after her arrest. This was a hard thing for me to grasp. She had beaten so many odds and didn’t deserve this. I was devastated. I went for a walk and pulled myself together and started working on the positives. She could do this. Kyle was my strength in these hard times as he was a wealth of knowledge and would help me to understand that she could still be okay. It helped. Her kidneys ended up recovering in full and we were able to get her off dialysis. This was an amazing day. We were able to hold our little girl for the first time in over a month. It was a wonderful moment and I just wanted to hold her and never let her go. She was beautiful and her body was warm and I could just love on her. We started working with different therapies to help with her brain injury PT, OT and ST. She was on so many drugs that to get them peeled off and keep her stable was a challenge. Her brain was storming and she had at least 6 weeks of non-stop crying. She didn’t recognize Kyle or I and it was the hardest thing as her mother not to be able to comfort her. Her eyes were not symmetrical; she always stared at the ceiling or away from us. She could only turn her head a little to the right. She couldn’t’ move any of her body. She could not support her neck. She couldn’t’ swallow or manage anything in her mouth. We were able to get her up to the rehab floor in the middle of all of this. Finally, she was put on feeds through a tube that went down her nose. She was throwing up and still no one had a diagnosis for our daughter. I always felt it was a GI issue but they were not convinced. We worked with Neurology, Infectious Disease, Rheumatology, Endocrinology, Genetics, Rehab, and GI. No one could provide us with any answers as to what was making our daughter so sick. It was very frustrating and Kyle and I advocated for Abigail over and over again. Her feet dropped due to the toning with her brain so much that they were not functional. We had some decisions to make. She needed a surgery for her feet if we were going to ever have a chance of them being functional if she could even use them. We were finally faced with a really tough decision. She needed a G-Tube that required surgery, but the last time she went under surgery she almost died. Kyle and I advocated for Abigail and the head of Anesthesia ended up taking on her case diligently going through her reports before her surgery on January 12th. The surgery was one of the scariest days of our life, but Abigail got through it and since then has gone under Anesthesia numerous times with the same anesthesiologist who now knows Abigail and how she reacts to being put under. It never fails that her blood pressure always drops considerably and she is always given fluids to get it back up. We were discharged from the hospital on January 18th from her initial injury. She has therapy 4 days a week, and doctors appointments often. 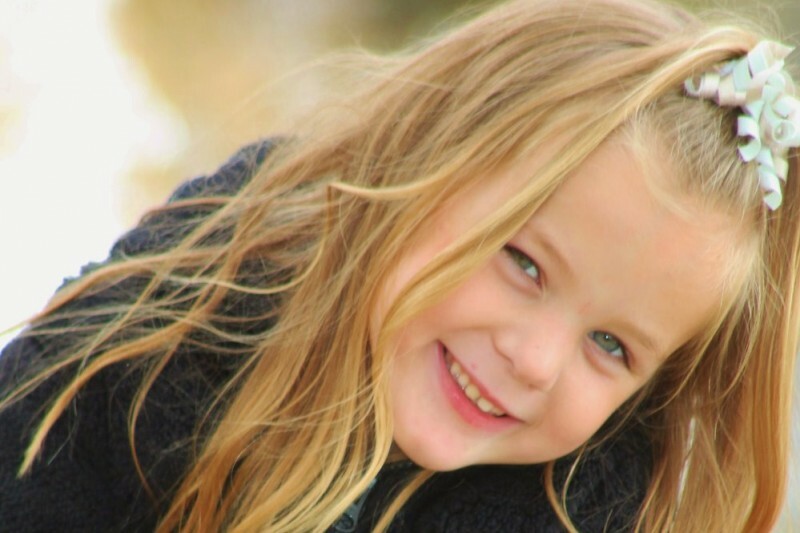 Since being discharged from the hospital Abigail has had 6 procedures and a major surgery. She has been hospitalized 4 times since January for over 26 days. This current stay has been the hardest. There was a lot of PTSD because we were afraid what happened to Abigail in October was going to happen again. The fear of losing our daughter haunts us daily because there is still no diagnosis for what made her GI system so sick. 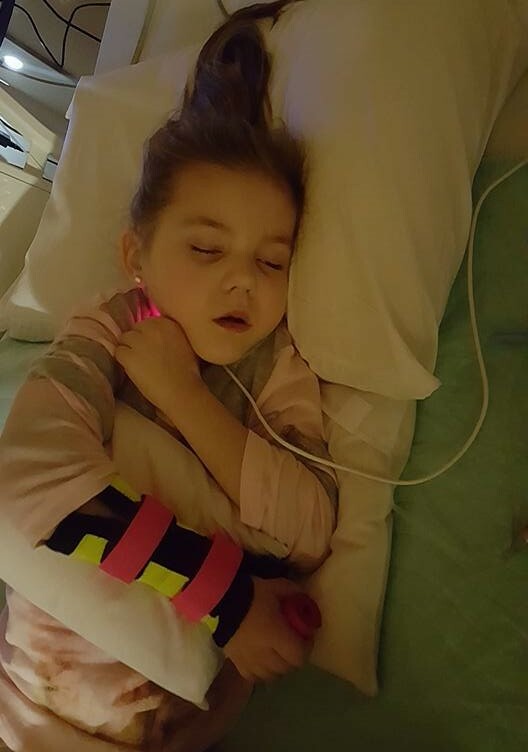 There is not a doctor at Children’s hospital of Colorado who can figure out what is wrong with Abigail. This is the reason we are reaching out to anyone who will listen. We need to get the word out on our daughter and her story in hopes that someone out there has experienced something similar to what Abigail is going through. All we want is answers to help us help Abigail. We are desperate and will do anything for our little girl. Thank you for your time. I know this is not a short story. On a side note here are a few upcoming events being held for Abigail and some other websites our friends have put together that may be helpful. Kyle and I have never asked for donations, only prayers and to spread the word. People that we know have done all of this out of the goodness of their hearts for our daughter. It is bigger then all of us. www.letshelpabi.com. Tonight her story was featured on Denver Channel 7 News at 10:00 pm. If you missed it, it will be available tomorrow at www.thedenverchannel.com. Hoping it will bring more awareness to Abi's story and will lead to a breakthrough for Abi and her family. Thank you for your continued support for the Colberts! The past few weeks Abi and her family have experienced many highs and lows. As a result of the capsule/camera study, the doctors found nematosis, ulcerations and lymphantesia. She did go under anesthesia again yesterday to do a biopsy - the family is yet again waiting for answers on that, and then will be able formulate a plan. She has been in and out of the hospital this whole week from throwing up, physical therapy, the biopsy, and to make things worse, has an upper respiratory infection. Its been a rough week for Abi and her family - our hearts break for them as they continue to see their sweet baby so sick. 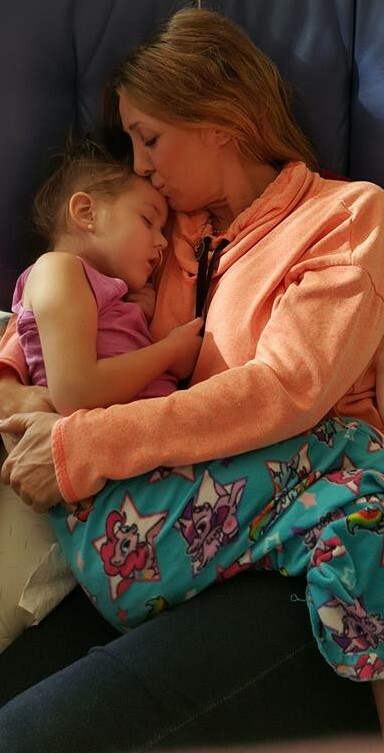 She is back at home, but she needs around-the-clock care and medication delivery every few hours - her family must be so exhausted with worry and stress. On a few positive notes, Abi's mom became a Certified Nursing Assistant for Abi! She just finished school this week! Also, mom and dad said Abi was able to independently hold up her head for approximately 10 seconds! Baby steps!! We are so proud of you Abi! Thank you, thank you, thank you all so much for the continued donations that have been coming in. They are so grateful and overwhelmed with the generosity of so many people! "I miss my Abigail, but also love my new Abigail. I miss her voice... and her big smile and laugh, and the way she never wanted to leave my side and would be my side kick everywhere I went. I miss her watching me get ready in the morning and playing Barbies with her, and watching her brush her teeth, and seeing that smile when I picked her up from school. I miss my Abigail, and I love the new Abi... I just hope the two can reconnect or meet in the middle somewhere in the future. Hugs and thank you to everyone for your prayers and love and support. I cannot say more about it or how much I appreciate you all. The transition home has been very busy for Kyle and I. Taking care of Abigail and getting her to her appointments is a full time job right now, she is struggling with sleeping through the night as well. We love you all and appreciate your love and prayers... we need it now more then ever. There is talk about another procedure soon. I will keep you posted". Abi did have this procedure last week in which a camera/capsule was surgically inserted into her intestines in hopes of the doctors finally diagnosing her condition. Abi currently has casts on both legs to help with toning but they should come off soon. Praying the family will finally get some answers! Again, thank you all so much and please help by sharing this page via Facebook, Tweet, or email. 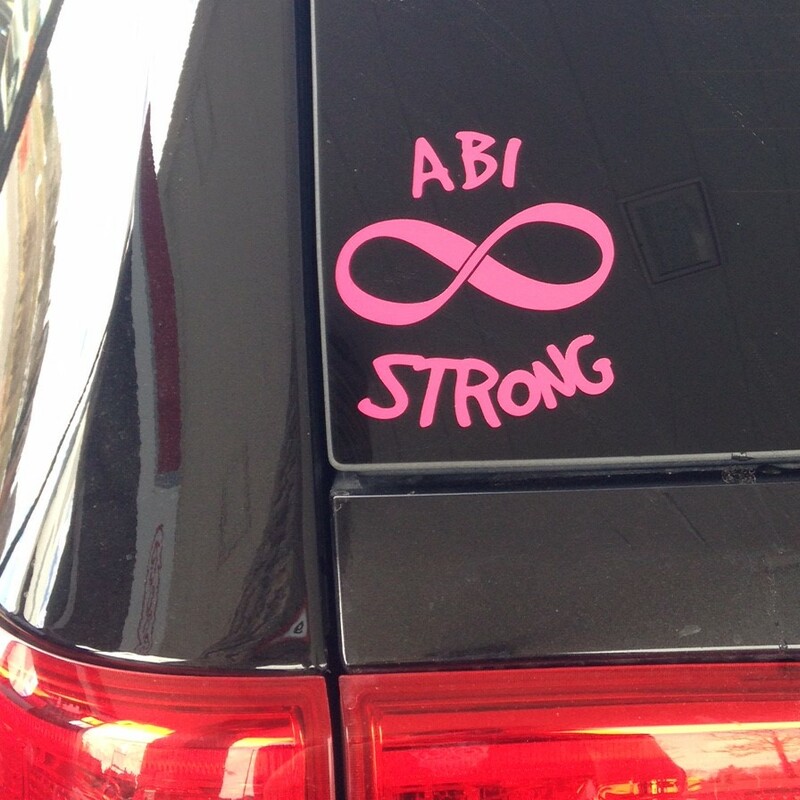 Abi Strong! Always in our thoughts and prayers! Love to you all! Continued prayers for full healing too!